I have a thing for leaving my hair in a shrunken style for long periods of time. The good Lord knows that it takes ages and a good dose of trimming to get it back in shape after that. But....it's just so easy to step in the shower, wash my hair and think nothing about it for the next 2 weeks. Don't you agree with me? I've been unable to find any of the pictures I took at the Social Media Africa Awards event in January but I had my hair the same way and accessorised it simply with a vintage brooch from ChezJumelle. Everyone thought it was something special and wondered how I managed to maneuver a brooch into my hair without the pin pricking my scalp. 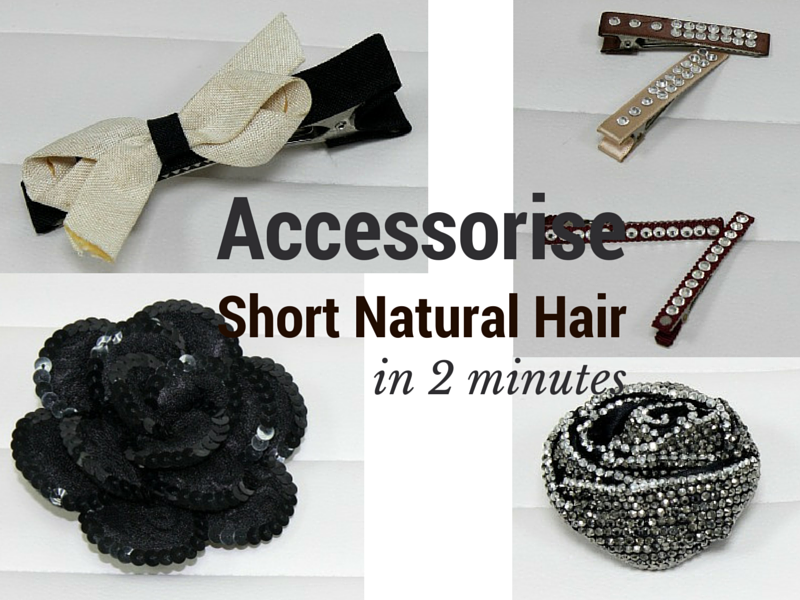 I got a chance to play with some hair accessories recently and decided to do this really short video showing how you can accessorise your TWA in literally seconds. Don't forget that we'll be having more of such videos courtesy of Afroriri Haircare. Please remember to send in your requests and comments telling me what you would like to see in the videos.